An engineer, an accountant, and a biologist walk into a coffee shop... and they dream up a plan to live stream the upcoming solar eclipse. 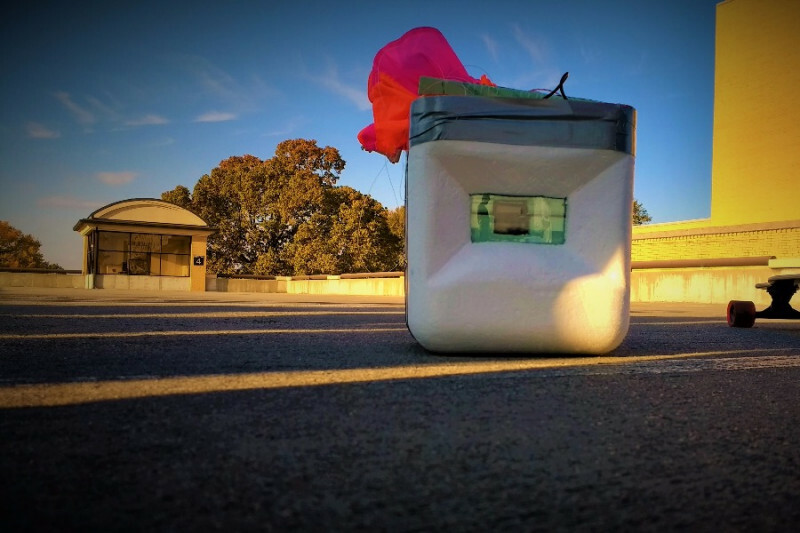 On December 3 students at Bob Jones University launched a high altitude balloon, as the climax to a semester of an intense freshman engineering course. This successful launch inspired us, a team of students ranging from accounting to physics, to challenge ourselves to a more ambitious launch. We knew that a solar eclipse would occur on August 21, 2017, and decided to capture the event and live stream it on services such as YouTube.com, Twitch.tv, Facebook, or Periscope. To be able to succeed, we need to raise $1,700. Our team will use the funds for sensors, cameras, communications and control equipment, and tracking systems. Additionally, we need expendables like helium, a balloon, and batteries for the onboard electronics. We have an aggressive timetable for completing this project but can launch if we raise the funds by April 5. We would love to complete this project, but we need your help. This project is ambitious, we know, but it is not impossible. With your help, we can see the sun like never before. We have almost all of the major parts in hand, including the ATV transmitter. The biggest part of code that needed to be written was finished this evening. We still have a long way to go, but we are making progress!!! See the Facebook page for pictures. A: KJ4IQS James is the project manager and KJ4ZWA Fleet is the lead engineer. We are working in conjunction with the IEEE Piedmont Student Branch. A: James is a senior in college. He is an Eagle Scout and was a senior patrol leader. He has done several large scale electronics projects, including building and utilizing a home solar observation station in cooperation with Stanford University as well as designing & building a working model submarine. James is a technician class amateur radio operator (KJ4IQS). Fleet is the Team Lead for Engineering and Communications for the project. He is a freshman engineering major, as well as a general class amateur radio operator. He has 7 years of electronics experience, including being a certified Aircraft Electronics Technician (NCATT AET) for a year and a half. He has also worked on a previous (successful) balloon launch. Q: Is it just a bunch of college kids working on this project? A: No; we have two professors at the university working with us, as well as a physicist, an engineering PhD candidate, and a retired engineer as consultants. Q: Is this project going to stay below the FAA limit of 4 pounds? A: At this point, yes. We are estimating the weight to be about 3.5 pounds. Q: Where are your launch and landing sites going to be? A: We do not know yet because we cannot predict the weather this far in advance. The launch zone will fluctuate until the morning of launch. Q: What frequencies will you be using? A: We will publish a list of our operating frequencies before we launch. At this point, all of our transmissions should be in either the 2-meter band or the 70 cm band. Check out our project trailer on our Youtube channel. 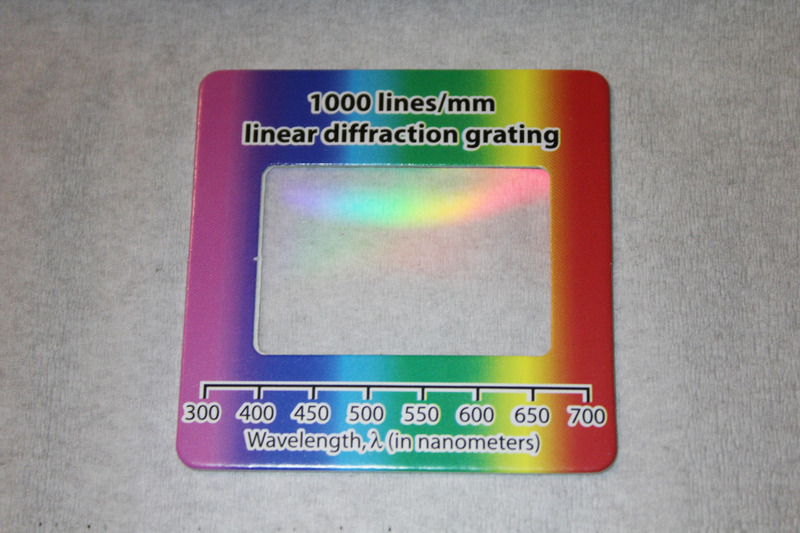 This is one of the new diffraction gratings that just arrived in the mail. We are going to be coupling one of these with the full spectrum camera to make a spectrometer for the payload. 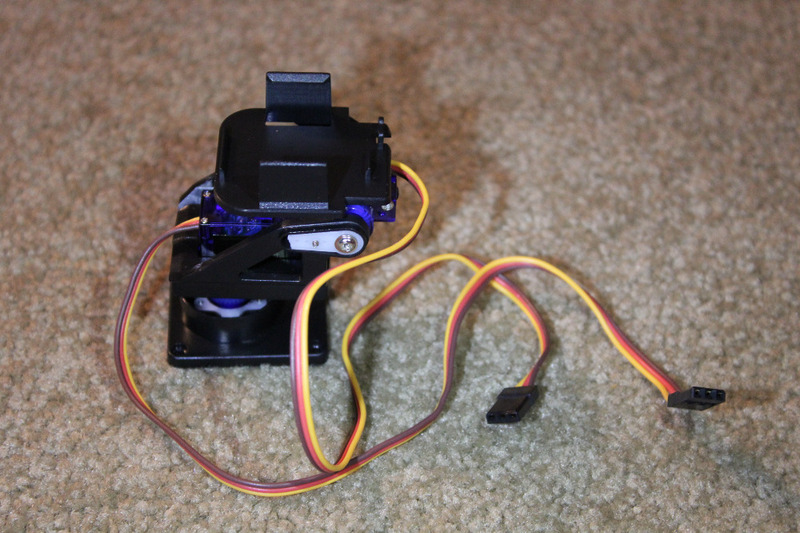 This is the new pan/tilt mount that we will be interfacing into the system. This will enable us to turn the camera toward the eclipse, and hopefully keep it pointed in the right direction! Get a twitter call out. A Twitter call out, a photo of the team, a summary presentation, and a DVD documentary of the project.